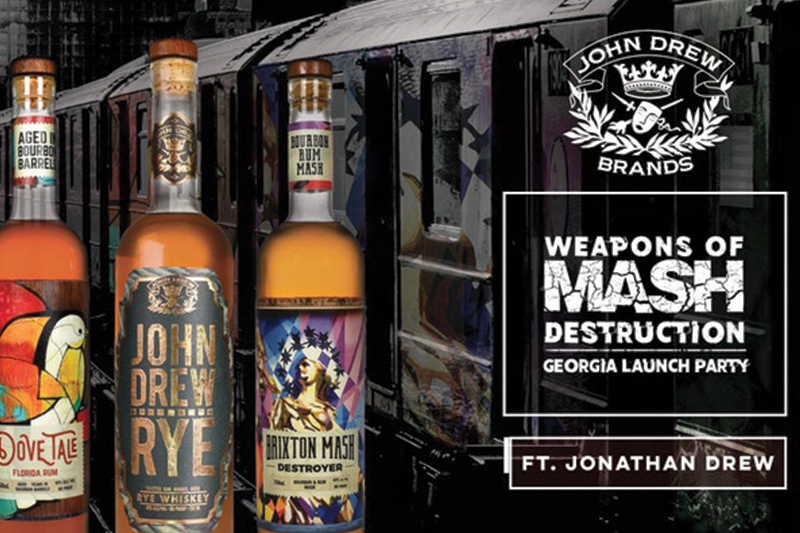 John Drew Brands will be launching its spirits products–Brixton Mash Destroyer, Dove Tale Rum, and John Drew Rye–in Georgia with its new distribution partner, Georgia Crown Distributing Co. John Drew Brands was launched by Drew Estate President and Founder Jonathan Drew in 2015. John Drew Brand’s portfolio currently includes three premium spirits – Brixton Mash Destroyer, Dove Tale Rum, and John Drew Rye. Brixton Mash Destroyer is a mash up of Kentucky Bourbon and Florida Rum, utilizing craft sourced, core products (90°; SRP: $39.99 for 750ml). Dove Tale Rum is true Florida Rum that is sweet and vibrant, yet dark and mysterious due to its Florida Everglades origin Black Strap Refiners Grade Molasses that’s distilled carefully and then aged in bourbon barrels (80°; SRP: $34.99 for 750ml). John Drew “Rye Whiskey” is distilled in Canada, then aged in Toasted Oak Barrels for 4 years. The flavor is rich with caramel, clove, vanilla, honey, oak, and orange peel with a soft lingering finish, indicative of the flavor profile that Jonathan Drew envisioned (90°; SRP: $49.99 for 750ml). 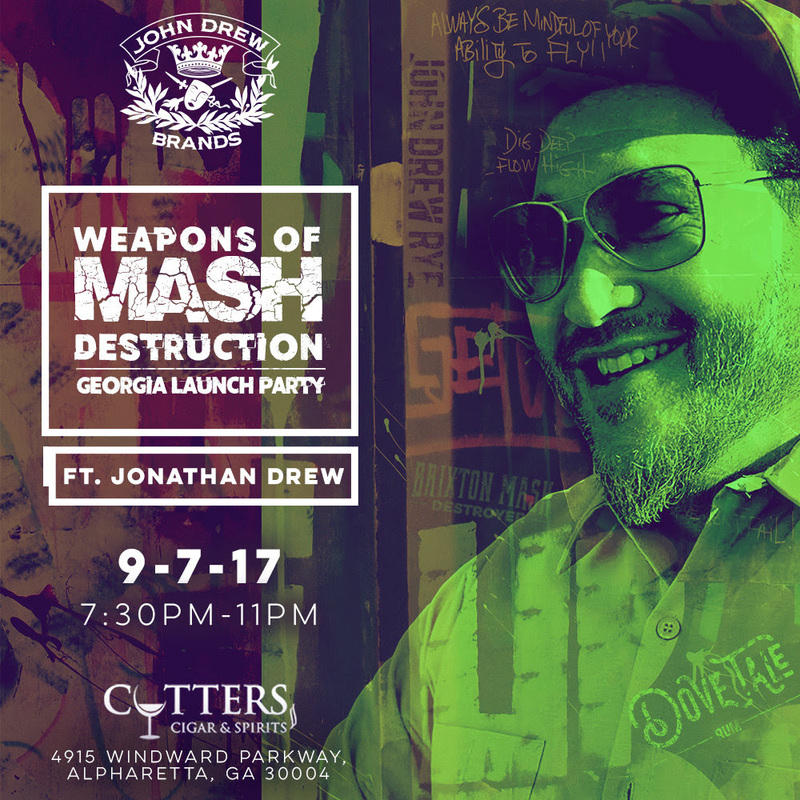 The Georgia launch party for John Drew Brands will be on Sept. 7 at Cutters Cigar & Spirits located at 4915 Winward Parkway, Alpharetta, Ga., 30004. The event will begin at 7:30 p.m. and will end at 11 p.m. You can RSVP for this event here.